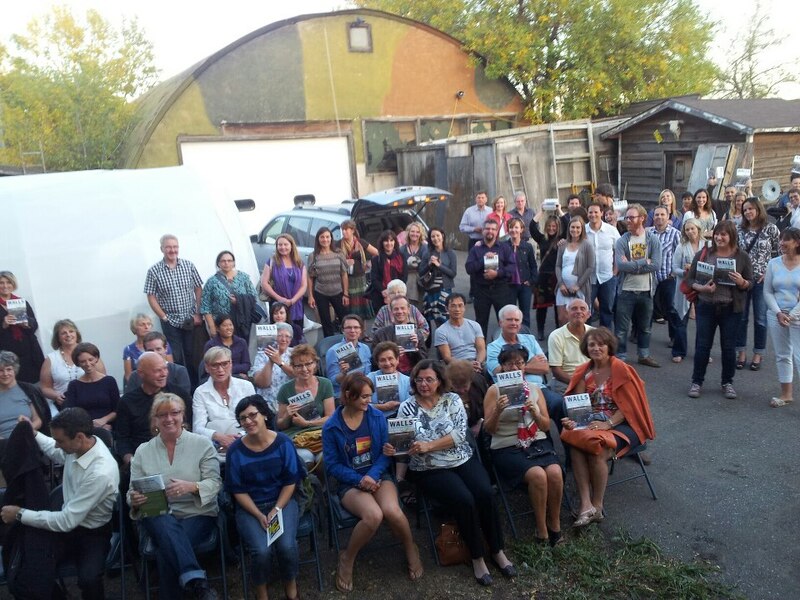 After spending a few days promoting the new book in Toronto and Montreal, I finally got to launch Walls: Travels Along the Barricades in my hometown in front of friends and family. 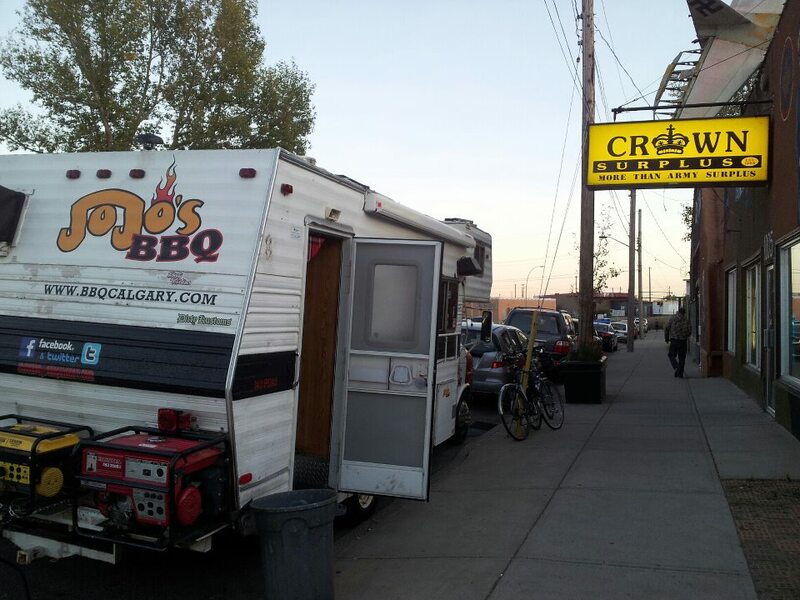 We held the launch in the back lot of Calgary’s army surplus store, Crown Surplus, surrounded by barbed wire fencing, rusted artillery and other military accoutrements. 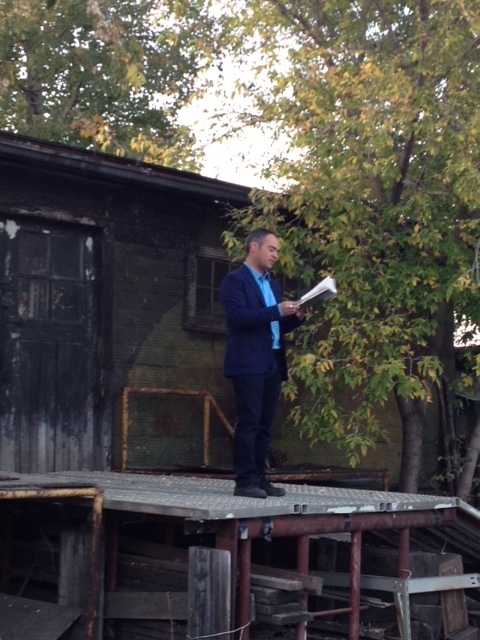 My guests had to pass through an army tent to reach the ‘stage’ – a platform attached to a decommissioned army post – from where I did a short reading. 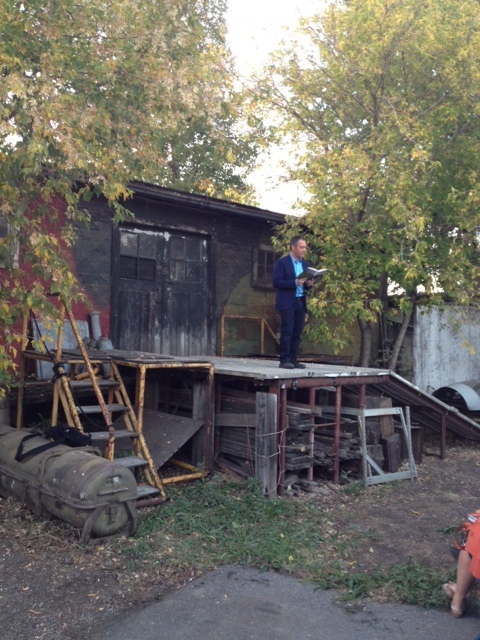 The venue was perfect for the theme of the book, and the weather was beautiful.